I’ve been listening to a lot of Japanese music lately at work courtesy of J1 Radio, in particular their Gold channel which plays some really, really good oldies. No translation needed; the music alone is fantastic. When I hear a song I really like, I’ve gotten into the habit of copying-and-pasting the artist and song title into an email draft and at the end of the day (or couple of days, depending on how well I can manage the list), sending it to my personal address. From there, I’ll look them up on the YouTube and add them to a playlist. But therein lies the problem. The issue I was having is that the songs were presented on J1 in Romaji, or the Romanization of the Japanese syllabary. Example: searching for Mayuzumi Jun “Tenshi no Yuwaku” — my current song obsession — might only yield a few results because most users would have uploaded the video in its traditional Japanese using the combination of Hiragana, Katakana, and Kanji. Here’s the song and oh, it’s a good one. It’s been stuck in my head for a while and the video is so freaking retro it kills me. But here, finally, was the problem. Many searches returned absolutely nothing when using Romaji and being I’m not fluent in Japanese nor would have any clue on how to translate the title properly, there was no hope for some of the songs I wanted to find and add to my ever-expanding “Japanese Classics” playlist. But today at work I accidentally found the solution to my problem. The site has a page where you can request a song and of course with that, you’d have to know the artist and/or title. What I discovered was that they maintain an A-Z database of artists they play on the station. So if I were to request the song above, I’d look up the singer’s name under the M category. All of her songs J1 plays would be listed under her name. So I did just that. I found her along with her name and the song title in proper Japanese characters. But being I already had it on my playlist, I opted to search for one that I couldn’t find on the YouTube using Romaji. I picked one I know I couldn’t find with Romaji, copied the Japanese title, and searched for it on the YouTube. BINGO. Found. Then I tried another. BOOM. Score. This was becoming all too easy and I was happy. I added those few I had found to my playlist and couldn’t wait to go home when until I finally had some quiet time in the evening to finish up my search. With the kid to bed at 9pm, it was time to look at those emails and apply my new-found method of searching so that I could a) finally add them and b) have a good ol’ time doing it. I had just started to read one of the emails and began seaching, adding whichever version of the song(s) I preferred to my playlist since I was now getting multiple results for each song. I would have been there all night doing it if it were my choice. And it was all going so well…before the site went down for maintenance and, as of this post, is still down. Grrrrr. So just when things were falling into place, I get shot down. Hopefully it goes back online real soon so I can continue my searching. At least this little unexpected outage gave me time to write and less time on Facebook which I’m trying to avoid again. Less time on Facebook has also given me time in the evening to workout and study Spanish so it’s definitely working out. And if I keep up all this working out, I’ll have to expand my Workout Playlist. After all, who wouldn’t want to workout to “Sexual Violet No. 1”? Note: I am still learning and this post covers very basic stuff. If any of this is wrong, please let me know. I’d love to hear feedback. It’s been about a week since I took it upon myself to start learning Japanese through the use of iPad apps and so far, it’s been interesting and even fun. As such, I thought I’d share a little about what I’ve learned as well as a few insights about the language which will show that isn’t as difficult as you might think. Well, for Hiragana at least. But before I begin I need to say that it’s not only apps that have been helping. Over the last couple of years, I’ve subjected myself to a ton of things Japanese including listening to Jpop (music), watching Japanese TV shows including some anime and NHK World, and spending crazy money at a certain store. I believe that all of these things have most definitely given me the upper hand in understanding or at least raising my interest in the language. Now let’s begin. First, Japanese is comprised of sounds or syllabaries, not actual letters. Of course there are vowels but all characters are a combination of a consonant and vowel sound except ん which is the N sound all on its own. Second, much like Spanish totally unlike English, each vowel sound is pronounced the same no matter what. There is no deviation from this unless the O sound from any syllabary is followed by う which extends the O sound or in some cases gives it a U sound at the end. After all, that character is a U. Oh, and in case you didn’t notice, the vowels are in a different order than English. Now let’s learn a Japanese word by using an example that most everybody knows, thanks to Styx. First, we have ど which is “do” (pronounced “doe”). This is actually a diacritic (dakuten) of the と (“to” pronounced “toe”) sound. Those little lines are above the first one are what give it the softer D sound. There is also another dakuten – it’s a little circle instead of two lines – that turns the “ha” sound of は into the harder “pa” sound of ぱ. There are many more; that’s just one example. After ど we have う which is the aforementioned U and extends the O sound. あ is the vowel A (“ah”), and then we learn something else: the “ri” sound of り. In Japanese, the R does not sound like it does in English, which is why a native Japanese person would have difficulty learning to pronounce it because it’s not part of their vocabulary. It’s like when the chef on Kodos and Kang’s flying saucer told Homer, “To pronounce it correctly, I would have to pull out your tongue.” It’s native to one part of the universe but not another; what exists in English doesn’t in Hiragana. Okay, that’s that. Now there’s が which is “ka” but with the dakuten changes to “ga.” Then we wrap it up with と for “to” and the vowel U or う, which lengthens the “do” sound. So it’s that simple, right? Ha! Not exactly. Hiragana – 46 characters total – is based on native Japanese and is only one part of the three writing systems. There’s also Katakana which has about the same number of characters as Hiragana and is derived from Kanji. And guess what? Kanji is the third part of the writing system so it’s not uncommon to see all of them used at the same time. Did I mention that there are over 2,000 Kanji characters? Oh, and there are no spaces in Japanese, and sometimes the U sound in some syllabaries isn’t pronounced, as in なつかしい (natsukashi or “sweet memory”) because なつ (natsu) means “summer.” It is pronounced natskashi. But in the end, if you look at the charts long enough as I have been, the characters and their sounds begin to make sense. It’s just a matter of deciphering them. 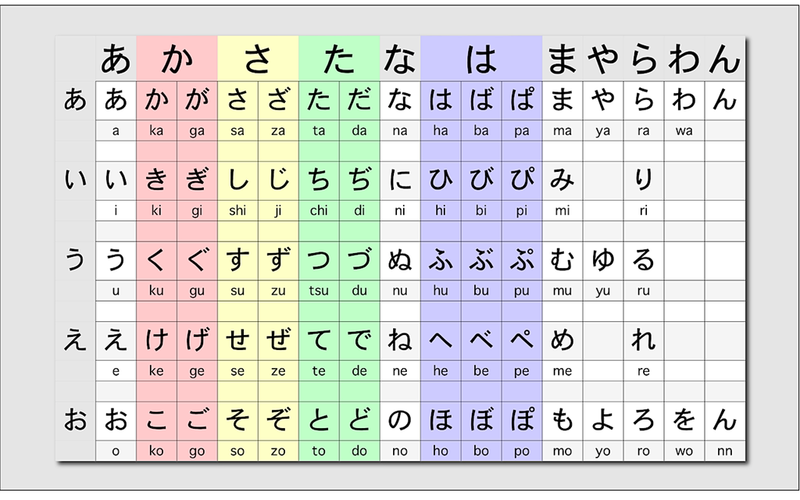 In fact the first word I conquered after familiarizing myself with most of Hiragana was “sushi.” Go ahead and look up the syllabaries on the chart and see if you can guess how to spell it. Yeah. I know what I’ve gotten myself into but I’m having a lot of fun with it and really enjoying the challenge! 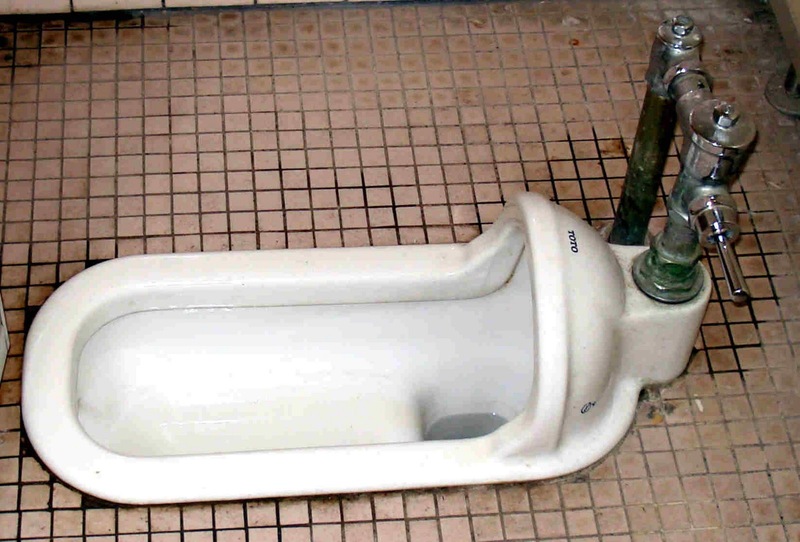 The goal here is to someday know enough to get by so when I do eventually take a vacation in Japan (and by gum, I will), I’ll have a better idea of everything which will make the trip much more enjoyable as well as mingle with people a little better as well as understand the culture and customs. In the meantime I need to find a new job. That trip isn’t cheap and there’s no way to afford it on my salary. It was about 10 days ago when I decided that I was going to give up blogging for a number of reasons, namely that I believed it to be a lost cause and I didn’t want to “disappear” as I so plainly put it. That was 10 days ago and I’ve had some time to think about it, and I think I was wrong. There’d be no way my late Uncle Lou would want me to stop writing regardless of the format, topic, anything. And as someone who has always had a knack for writing (not always necessarily good writing), I’d probably be cheating myself by giving it all up. It doesn’t matter how many readers I have. The traffic means nothing because I’m not getting paid to write nor am I concerned with SEOs and the like. This little space in the once-named blogosphere is mine to vent as I feel the need to do so. It’s therapy. It’s comedy. It’s someplace where I can smear whatever is on my mind even if others may not agree with it. And I’m okay with that. By the way, this isn’t the first time I’ve chosen to quit blogging. I’m funny that way, I guess. The fact of the matter is that in my choosing to quit blogging, I was reaching out. It was a kind of cry for help. When I wrote that post I was feeling really down about a number of things, namely my current job situation and a myriad of other stuff that’s been happening on the other side of the monitor that you can’t see. It’s all big and somewhat scary, and it almost swallowed me whole. That was also the case with my lack of Facebook posts: I just didn’t want to engage in any social media activity at the time. I’m now slowly getting back into it but still not very active with my posts. There is, in fact, a lot happening that I will indeed share when the time is right and not because anyone will be particularly interested in it but because writing is my therapy. Some of it good news, some of it bad news. But hey, that’s how life is, right? One of the things that’s been going on is, believe it or not, my learning Japanese. I’m using a free app called Kae Tim’s Guide to Learning Japanese and it’s pretty comprehensive. Unlike other free apps that cover simple conversational/travel phrases like “Where is the restroom?” this one goes deep into the language and covers it in full detail. I realize that it will take quite some time to master it as well as understand all the characters and writing systems (katakana, hiragana, and kanji) but you know what? I’m getting it and pretty excited about it. This will no doubt make learning languages like Spanish and French much easier, even if I know just enough of both — and it helps when I watch the occasional NHK shows and anime on Crunchyroll. Learning this language will no doubt come in handy when I do finally make a trip to Japan, a trip that has been on my nonexistent Bucket List for years. That trip is going to happen. Just watch. It may take a few years or longer but when it does, you can bet I’ll be writing about it. So with all that said, I’m back – whether you like it or not.